There's a lot written about sales on the internet and much of it is useful, but when you scrape away all the rhetoric and good and bad advice, there are just five sales truths you need to know and five ways to increase sales. 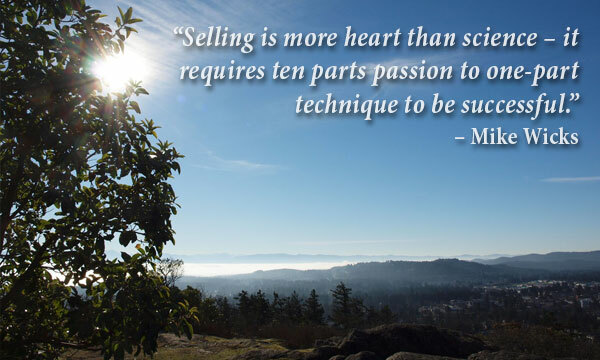 Selling isn't easy - or at least not most of the time. Sure there's always some low hanging fruit you can gather, but heck it's not going to be enough to make a whole pie. If you think people will be lining up to buy what you sell, then think again. You need to have a sales strategy, and learn quickly what prevents people buying from you. Selling is about handling objections - if you can negate every single objection you have the sale. Everything starts with a sale. Zig Ziegler once said that the only activity in a business that contributes to profit is selling, every other activity represents a cost. So many small business owners get wrapped up in the product or service and forget that no matter how good it is, if you don't sell anything you haven't got a business. Selling is all about numbers. First you have leads - you need a whole heap of these. 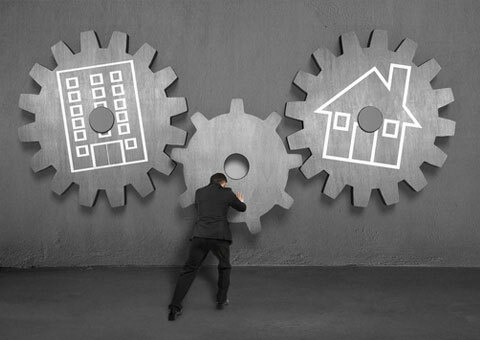 Then you have to discover which leads might actually be in a position to buy what your selling - these become prospects. Prospects need to be converted into customers - these are awesome individuals! Customers are worth different amounts dependent on what they purchase and how often they purchase. So, the more effort you put into getting vast numbers of leads, the more prospects you will have and if you do a half decent job you will in turn end up with more customers. Selling is your number one priority - period. Number three, above, was simple eh? Not rocket science that's for sure - BUT, the vast majority of small business owners do not rate selling in their top three priorities. Heck, there's so much else to do when running a business; important stuff right? Wrong - nothing is more important than bringing in orders! You are the best person to do the selling, especially when the business is in its early growth stages. Later you can bring other people into handle sales, but unless you've done it first you'll never be able to train them effectively. You need to know how prospects feel about what you sell, and what objections they raise, before letting others sell for you. If you are the owner of the business, whether you currently handle sales or not, get out and do some face-to-face selling. This will a) bring in sales; b) help you understand the barriers (objections) to getting orders; and c) allow you to better train your salespeople. If you already do the selling, start developing a sales strategy and create a training manual for future salespeople. Find more leads - more leads equal more prospects and more prospects mean ... well you know the rest. Convert more prospects into customers. Analyze what you do right and what you do wrong on every sales call. Do more of what brings in orders. Repeat. Encourage customers to purchase larger quantities. Offer discounts; package in larger quantities; and make it easy for customers to buy more. Encourage customers to purchase more often. Talk to them, or visit them, more often; introduce a loyalty program, introduce new products or services. It's easier and less costly to sell to existing customers than to find new ones. At the end of the day, selling is a numbers game - the more hours you sell, the more product you will sell - the more leads you have the more prospects you'll identify - the more prospects you pitch to, the more you will convert into customers - the more customers you have the more revenue you will generate. One final way to increase sales to any level you desire without improving your sales technique. If you analyze your sales performance and discover it takes 100 leads to find 50 prospects which result in 5 customers, your conversion rate is 10 percent (duh!). To double the number of customers, simply start with 200 leads! 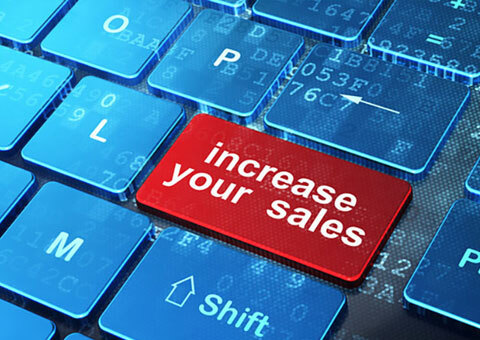 Of course, it would be more efficient to improve other elements of your sales strategy and technique - but this shows sales is truly a numbers game when you get right down to it. Last month we talked about achieving a better work-life balance, by bringing equilibrium back to your life. This month we take a look at how you can help your employees achieve a better balance and in turn how your company will benefit. 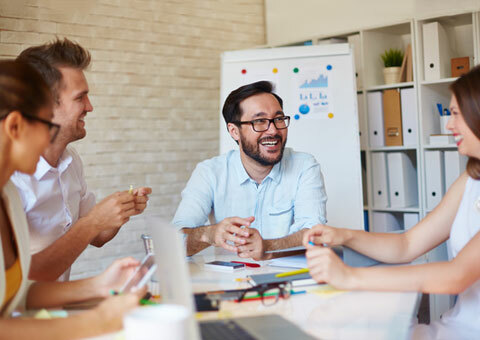 It seems counter-intuitive to give employees more time off, offer greater work schedule flexibility, or more breaks, but in fact it's a win-win for both your business and your employees. The more stressed workers are the more time they will have off; absenteeism costs money. A lot of money - according to Statistics Canada average absenteeism in 2011 was 9.3 days for every full-time employee. The Conference Board of Canada reports the cost to the Canadian economy of absenteeism was $16.6 billion in 2012. Staff turnover - make no mistake when an employee leaves because they are unhappy, or burnt out, it costs your business a lot of money. A Standard Life survey found that it costs approximately 40% of a person's salary to replace them. This is based on: loss of business; production disruption; advertising, interviewing, and other costs relating to hiring a new person such as training etc. Stress related mistakes, accidents, and injuries cost money - approximately $19 million to the Canadian economy per year. What mistakes, errors, and the like actually cost individual businesses is anyone's guess, but it is probably staggering! Lead by example - if you arrive early, leave late, work weekends and never take a vacation, many loyal and ambitious employees will try to emulate your work ethic. That may sound good, but if they burnout, where does that leave you? Offer flexible hours wherever possible - employees can better balance work and home life if they are allowed to choose their start and finish times. Obviously your ability to offer this will depend on your type of business, and the role of individual employees. Encourage frequent breaks - it's surprising how more efficient people are when they have a chance to break away from the computer, or other work, for a few minutes. Allow some level of telecommuting where feasible. This can allow employees to save travel time and better fit work around their family responsibilities. Rethink the work week. Consider adding an extra 30-minutes onto the beginning and end of each day and give employees every other Friday off so they get a long weekend. This can be staggered so not all employees are off at the same time. Give employees their birthday off - this small thing is a huge morale booster. Where possible evaluate work more on outcomes, not hours worked. Understand your employees' dreams and aspirations. Discover what motivates them and see how you and your company can become involved. For instance: if an employee is actively involved in a charity see how you can support their work, or if someone is trying to lose weight, get fit, or give up smoking, find a way to support them. Perhaps one of your staff members is keen to upgrade their skills; offer to pay for their classes, or give them time off to study. A great way to begin improving work-life balance in your company is to sit down with employees and discuss what would help them. You might be surprised at how relatively simple changes or initiatives can make a huge difference to people. Approach improving work-life balance in your company as a win-win situation; don't feel it's all about you giving benefits away - it's about improving the efficiency, cost effectiveness and success of your business too! Coach's Corner - What do you expect from your staff? Canadian businesses, investors and economists confronted the prospect Friday of one of Canada's biggest trading partners exiting the European Union and what it will mean for their operations and the economy at large. With a potential postal shut-down looming on July 2, millions of Canadians could be without a means of mail delivery. A report by HSBC suggests that nearly half of working-age Canadians are not saving for retirement. The big international bank says 48 per cent of pre-retirees in the country say they have not started or are not currently saving for their life after work. Canadian small business sentiment eased downward in May, giving back some of the improvement noted the month previously.